As the Operations Captain of the Chesterfield Township Police Department, Kenneth J. Franks is responsible for daily operations of the department – including work assignments, personnel scheduling, department training, overseeing the investigative bureau, investigations between shifts and outside agencies, the department’s Emergency Preparedness Plan, Operations Manual and all sworn and non-sworn employees of the department. .
Additionally, Captain Franks assists with annual reports, the annual budget and other responsibilities designated by the Chief of Police. Captain Franks has been with the Chesterfield Township Police Department since 2000. During that time, past projects and responsibilities have included firearms training, self-defense training, the K-9 Unit, and overseen all department training and FTO and CTO. He has been a prior Administrative Sergeant, and has also served as a Patrol Sergeant on every shift. 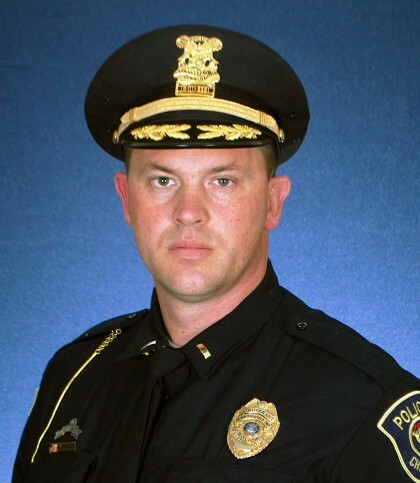 Prior to joining the Chesterfield Township Police Department, Captain Franks worked for the City of Allen Park as a police officer from 1996-2000. Before that, he served in the United States Marine Corps from 1990-1994, in an Infantry Battalion where he lead a team for Tactical Recovery of Downed Aircraft and Personnel (Search and Rescue). Captain Franks is currently pursuing a Master’s Degree in Administration and he possess a Bachelor’s Degree in Public Safety Administration and an Associate’s Degree in Criminal Justice.